The Corinthian Colleges debacle offers illustrative examples of almost every complaint made against the modern for-profit college industry: namely, exorbitantly high tuition rates not only leave students deeply in debt which cannot be discharged in bankruptcy, but the college degree or credits they earned in exchange for all that debt turn out to be worthless. Traditional four-year colleges and universities rarely if ever accept transfer credits from such schools, state professional certification boards won't accept them, and potential employers won't either. Corinthian, which owned and operated schools under the brand names Everest, WyoTech and Heald, filed for bankruptcy last month after years of legal troubles. But the true beginning of the end for Corinthian arguably came last June, when the Department of Education temporarily halted all federal student aid, including bankruptcy-proof federal student loans, to various Corinthian-owned schools. Though federal funding was re-instated a couple of days later, Corinthian had to agree to many strict conditions including a “'teach-out' of schools that are under-performing.” At the time, Corinthian was already under investigation in 20 different states, in addition to its troubles with the feds. In early July, Corinthian started selling off some of its campuses after it missed one of the deadlines the feds had established as part of its previous month's agreement with the company. At the end of that month, Sen. Tom Harkin (D-Iowa) and the Senate Health, Education, Labor and Pensions Committee released a report showing that for-profit schools such as Corinthian were collecting a “disproportionate share of new Post-9/11 GI Bill benefits” paid out to military veterans. The lawsuit charged that Corinthian used “misleading claims” in order to convince students its schools were worth attending. Among other things, Corinthian allegedly paid employers to hire graduates for temporary jobs, which Corinthian then counted as as in-field work toward its job-placement statistics. Corinthian even allegedly created fake employers, then falsely claimed students worked for them. Meanwhile, Corinthian's “career counseling” services included urging students to check job postings on websites such as Craigslist. In October, the state of Wisconsin made similar claims in a lawsuit it filed against Corinthian-owned Everest College in Milwaukee (which had shut down in August 2013). In February, the DoE and CFPB announced $480 million in debt relief for Corinthian students who'd taken out high-cost, private “Genesis” loans. CFPB Director Corday said it would “provide substantial relief to current and past students who were harmed by Corinthian’s predatory lending scheme.” Affected students were told they could see their individual Genesis debt burdens be reduced by up to 40% – which was another way of saying the students were still on the hook for 60% of those predatory loans. A week later, Corinthian was fined $30 million and forbidden from enrolling any new students at certain of its campuses, for “misrepresenting” job placement rates for its graduates. According to the DoE, Corinthian's deceptive practices included paying temporary employment agencies to hire graduates for on-campus jobs lasting as little as two days, so the company could then count those students as having found work in their field after graduation. Near the end of that month, on Sunday, April 26, Corinthian abruptly announced that it would close all of its remaining campuses effective the next day. Then the company declared bankruptcy the following week. And now, almost exactly 12 months after the Department of Education first halted federal funding to Corinthian, it announced on its official “HomeRoom” blog that it would offer debt relief to certain Corinthian students. If you are a Corinthian student seeking debt relief of either type, please visit the FSA website or call toll-free at (855) 279-6207 and a staff member will provide the information you need. the Department will create a simple application for debt relief, which borrowers can complete online or by email or postal mail. Starting today, former Corinthian students can visit studentaid.gov/Corinthian to learn more, and in the coming weeks, the Department will have an online form available for these borrowers. In addition, students can call a special toll-free borrower defense hotline at (855) 279-6207 to ask about their options. But just how streamlined is that process? The Student Aid page says that “In your Borrower Defense to Repayment submission materials, you should include at a minimum” a long, bullet-pointed list of information. The list starts out reasonably enough – you need “A statement that the borrower wishes to assert a borrower defense to repayment based on state law,” and of course you must include some personal identifying details – your full name, date of birth, current contact information and similar things. Even getting a transcript from Corinthian, especially if the particular campus went out of business, may be challenging. Additionally, the application demands highly specific legal formulations, and borrowers would have to make the right citations of state law and fulfill the proper definitions of injury. This is a job for a lawyer, not a struggling borrower, who may not even be aware of Corinthian’s behind-the-scenes machinations. Last February, shortly after the CFPB announced $480 million in loan forgiveness for the holders of certain private (not federal) Corinthian-based student loans, a group of former a group of former Corinthian students associated with an offshoot of the Occupy movement known as the Debt Collective announced that they were staging a “debt strike” and refusing to repay their student loans in order to protest the government's legal and financial support of Corinthian. How many times do Corinthian students have to be lied to? Just as Corinthian Colleges portrayed its programs as a path to a better life when they were in fact debt traps, the Department of Education is portraying a process that re-victimizes students as a solution to a problem they created. If Education Secretary Arne Duncan was truly “committed to making sure students receive every penny of relief they are entitled to under law” he would sign the “Order for Discharge of Federal Student Loan Debts” the Debt Collective sent him last week, immediately and automatically discharging Corinthian students' debts. Students are entitled to receive full relief under law. 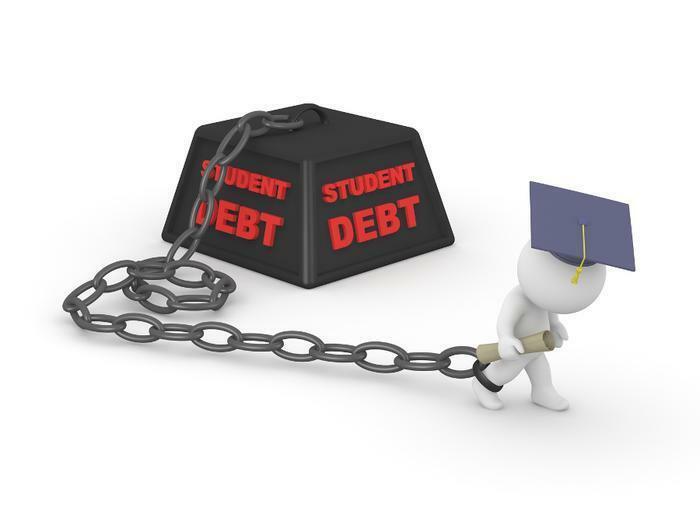 The legal and most painless possible process for students is no process—they deserve an automatic discharge of their debts. … In place of this obvious option, the Department of Education's "solution" is a bureaucratically tortured process designed to provide relief only to those who hear about it and can figure out how to navigate unnecessary red tape. The Department of Education has been misusing taxpayer dollars for decades, funding up to 90% of Corinthian and other exploitative for-profit college chains. Hundreds of thousands of students were led into a debt trap funded by tax dollars. Automatic, class-wide discharges are not only just, they would also serve as a corrective for the Department's flagrant failures to allocate public funds wisely. Please note that if you choose closed-school debt relief, you can’t transfer your credits to a comparable program at another institution. However, if you believe you have a claim against your school under state law, such as fraud, you may still pursue debt relief based on borrower defense to repayment, as described below – even if you transfer your credits to another school. Quite frankly: if you're a former Corinthian student, you should not let fear of losing Corinthian-generated course credit deter you from applying for debt relief, because those credits are probably worthless anyway. The only other schools likely to accept Corinthian-generated transfer credits are other for-profit schools no better than Corinthian. In February 2013, for example, an Everest graduate sued his school, alleging that none of the credits he took at Everest were transferable to a state community college, and many consumers posting on ConsumerAffairs have complained of problems transferring their credits. The education may not be real, but the crushing debt and financial ruin are.